I am convinced Billy Joel is singing about the journey of a freelance writer. My journey as a writer/blogger (still unsure of the label) began without intent or direction. It was February 2009 and I was sitting in a law office ordering my 4th bridesmaid dress for that summer. I always enjoyed writing, but mainly in the form of email rants; that summer the topic was my friend’s weddings. That particular bridesmaid rant transformed from a simple email to a mockumentary type blog, followed by dozens of query letters for a book. By August 2009 I scored a literary agent. In my head, I was already preparing for my sit-down interview with Matt Lauer. I was elated! Confused, but elated. This whole writer thing is so easy…I thought. Publisher after publisher rejected the book, stating that the wedding market was too saturated. Disappointed, frustrated and exhausted, I abruptly stopped writing. I did not write again for pleasure until October of 2013. Unfortunately, this time around was no less extreme. I was a new mom with a new graduate degree in social work. I wrote a few pieces and they were published by Psych Central. Again; I felt awesome. People care what I have to say! I began discussing my writing on interviews. Seleni Institute, a maternal mental health clinic, published my next piece on returning to work after maternity leave. The editor asked me to pitch other ideas. Seleni Institute then posted my second article “Accepting Your ‘Good Enough’ Kid” on their Huffington Post page. I had been writing for less than a year and I was on HuffPost! It felt incredible. I was riding my high and submitted to Scary Mommy. Accepted! Now I was in the big leagues. Shortly after, I was approached about a freelance writing position with About.com as the childcare expert and got the position. One of the biggest mistakes freelancers make is to stop marketing when they are busy. Market when you are busy AND when you are bored. When you feel like you have nothing going on, it is important to stay positive, maintain your social networks and get active on Facebook groups by commenting on posts. Keep yourself in a routine so you don’t lose your stamina or your mind. During a feast you should be excited. You are finally making money, but be sure not to splurge too much. Now is the time to set money aside and save. Create an emergency fund for the next famine. Celebrate emotionally, not with your credit card. Harry Potter and the Sorcerer’s Stone was rejected 12 times and Gone With the Wind was rejected 38 times before it was published. As a writer, it is important to not put too much weight into every rejection. Your writing may suit some publications and not others. 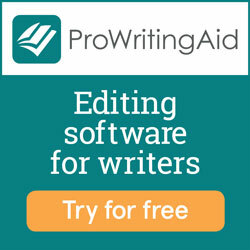 If you strongly believe in a piece that was rejected, ask the editor for some feedback so you can make edits. You may want to submit the same piece to another publication as is or you may want to put that piece aside for a while. During a famine, remind yourself why you write. What topics are important to you? What topics make you think? Sometimes we get stuck in a rut writing about topics that are comfortable, but when we are uninspired, it shows in our writing. Take some time to figure out how much work you can realistically take on. You may have other jobs or family obligations so it is really important to be honest with yourself about your time constraints. It is easy to get caught up and commit to too many items when things are going well, but ignoring your limits will only hurt you in the end. When you are so busy that you can’t manage all your deadlines, your options are to ask for extensions or get some help. Subcontracting can be a great way to handle large piles of work. Forming relationships with other freelance writers can help a great deal you when you need to ask for them. It helped me to learn that even the most successful writers go through the feast-or-famine cycle. If you are experiencing a feast right now, celebrate! Allow yourself time to enjoy it. Famines can be scary and confusing, but if you plan your time, save your money, continue marketing and trust that good things will come your way, you will get through it and be a stronger writer because of it. Jill Ceder is a psychotherapist and writer. She is the About.com ChildCare expert. Her work has appeared in various publications including Scary Mommy, The Good Men Project, The Huffington Post, Sammiches & Psych Meds as well as other parenting publications.